400 pounds? The guy is going to have a heart attack within 10 years that he leaves the NFL. I would think with the moves that has happened this month that Jerry is already on a fast. To me it shows a lack of commitment. The Dolphins have warned RG John Jerry not to report to OTAs out of shape. "It'll be interesting to see," coach Joe Philbin said. "The big thing we said to him when he left is we want to see how much you weigh when you come back for the offseason program." Jerry reported to 2012 training camp at nearly 400 pounds, and has always struggled with conditioning. The Dolphins ratcheted up the pressure on Jerry by signing veteran Lance Louis. Jerry could lose his starting job even if he's lost the pounds. He was 400 lbs. at the start of training camp in 2012. Any word on now? 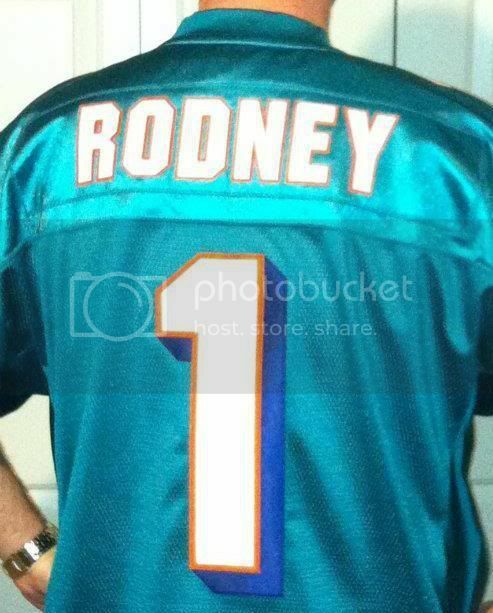 He either wants to be on the Miami Dolphins or not. Hard to feel sorry for a young man with money in the bank and gets paid to work out for a living. No excuses and if he has the drive to be a successful NFL player, he will show up in tip top shape or perhaps he would rather be in McDonalds eating Big Mac's. Jerry has a golden opportunity, but it is about making the right choices. Philbin is making it clear to John. It's up to him now. the smart thing to do would be to make him a swing tackle for depth. Go draft a guard that fits Philbin's offense.